While traveling through Dulles Airport last week, I noticed an Internet oddity. The nearby AT&T hotspot was fairly fast—that was a pleasant surprise. But the web had sprouted ads. Lots of them, in places they didn’t belong. 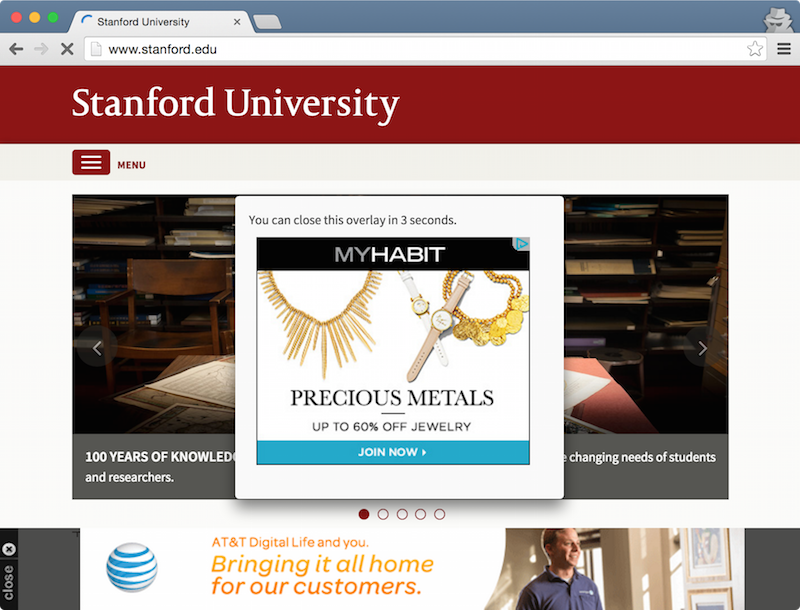 Last I checked, Stanford doesn’t hawk fashion accessories or telecom service.1 And it definitely doesn’t run obnoxious ads that compel you to wait. Since this morning’s coverage is calibrated for a general audience, I’d like to provide some additional detail. I’d also like to explain why, in my view, the news is a game-changer for information sharing legislation. It’s a top result on the Chrome Web Store,2 and it’s even endorsed by a faux celebrity. 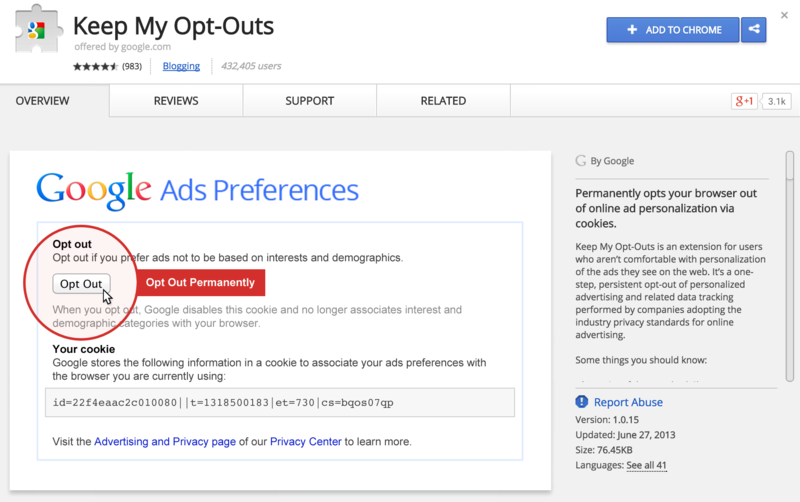 Unfortunately, the Keep My Opt-Outs extension isn’t nearly as effective as Google claims. It hasn’t been updated for years, resulting in only half of the promised coverage. Keep My Opt-Outs also doesn’t work in Chrome’s private browsing mode, despite the user’s explicit permission. If you’re currently running Keep My Opt-Outs, I’d encourage switching to Disconnect or Privacy Badger.3 Adblock, Adblock Plus, and Ghostery are also excellent privacy tools, when configured properly. In this post, I’ll explain why Google emphasized the Keep My Opt-Outs extension, how the code works, and what went awry. In the sharing economy, you can hire a one-off driver (Uber), courier (Postmates), grocery shopper (Instacart), housekeeper (Homejoy), or just about any other variety of henchman (TaskRabbit). So, what about hiring a hacker? That’s the premise of Hacker’s List, a website launched in November. Anyone can post or bid on a hacking project. Hacker’s List arranges secure communication and payment escrow. An online black market is, to be sure, nothing new. The rise and fall of the Silk Road received extensive media coverage. What’s unusual about Hacker’s List is that it, purportedly, isn’t a black market. The website is public, projects and bids are open (albeit pseudonymous), and the owner has identified himself. (He runs a small security firm in Denver.) Hacker’s List was even featured on the front page of the New York Times. Out of curiosity, I decided to leverage this openness. 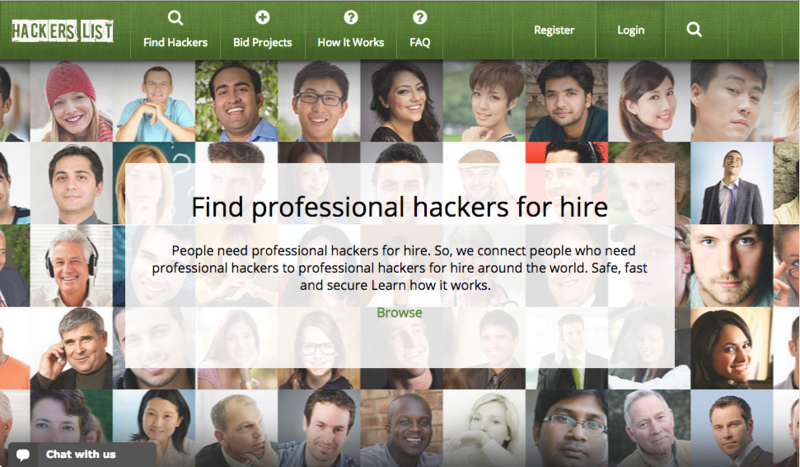 Who tries to hire a hacker? Is the website as popular as its owner claims? Most importantly, does the website facilitate illegal transactions, or solely white hat hacking? To answer these questions—and, admittedly, to procrastinate on my dissertation—I cobbled together a crawler. You can find the source on GitHub, and the crawl data on Google Docs. Here’s the short version: most requests are unsophisticated and unlawful, very few deals are actually struck, and most completed projects appear to be criminal. A good Washington talking point delivers zero content. A great Washington talking point sounds substantive… while delivering zero content. In the spirit of honoring greatness, I’d like to call attention to the current White House position on cryptographic backdoors. It received its most public airing from President Obama, in a February 13 interview with RE/CODE. President Obama isn’t the only official invoking “strong encryption.” (And strongly, too.) In just about every recent conversation with an administration policymaker, I’ve been subjected to some version of the line. According to law enforcement and intelligence agencies, encryption should come with a backdoor. It’s not a new policy position—it dates to the Crypto Wars of the 1990s—but it’s gaining new Beltway currency. Cryptographic backdoors are a bad idea. They introduce unquantifiable security risks, like the recent FREAK vulnerability. They could equip oppressive governments, not just the United States. They chill free speech. They impose costs on innovators and reduce foreign demand for American products. The list of objections runs long. I’d like to articulate an additional, pragmatic argument against backdoors. It’s a little subtle, and it cuts across technology, policy, and law. Once you see it, though, you can’t unsee it. Verizon Wireless injects a unique header into customer web traffic. When the practice came to light last year, it was widely panned. Numerous security researchers pointed out that this “supercookie” could trivially be used to track mobile subscribers, even if they had opted out, cleared their cookies, or entered private browsing mode.1 But Verizon persisted, emphasizing that its own business model did not use the header for tracking. With respect to ordinary law enforcement investigations, that’s only slightly true. And with respect to nation security investigations, that’s really not right. When the National Security Agency collects data inside the United States, it’s regulated by the Foreign Intelligence Surveillance Act. There’s a degree of court supervision and congressional oversight. When the agency collects data outside the United States, it’s regulated by Executive Order 12333. That document embodies the President’s inherent Article II authority to conduct foreign intelligence. There’s no court involvement, and there’s scant legislative scrutiny. So, that’s the conventional wisdom. American soil: FISA. Foreign soil: EO 12333. Unfortunately, the legal landscape is more complicated. In this post, I’ll sketch three areas where the NSA collects data inside the United States, but under Executive Order 12333. I’ll also note two areas where the NSA collects data outside the United States, but under FISA. In the debates surrounding intelligence reform, many observers have made a critical assumption. If Congress doesn’t act by mid-2015, it goes, the NSA’s controversial phone metadata program will turn into a pumpkin. In this post, I’m going to sketch why that view is so common—and why, regrettably, the clock may not strike midnight.